The Bachelor of Fine Arts (BFA) is a prestigious degree that will give you a broad knowledge in visual arts, multimedia, and design before you specialise in one studio area. The four-year degree is based within purpose-built facilities and students enjoy being part of a supportive community of practitioners. 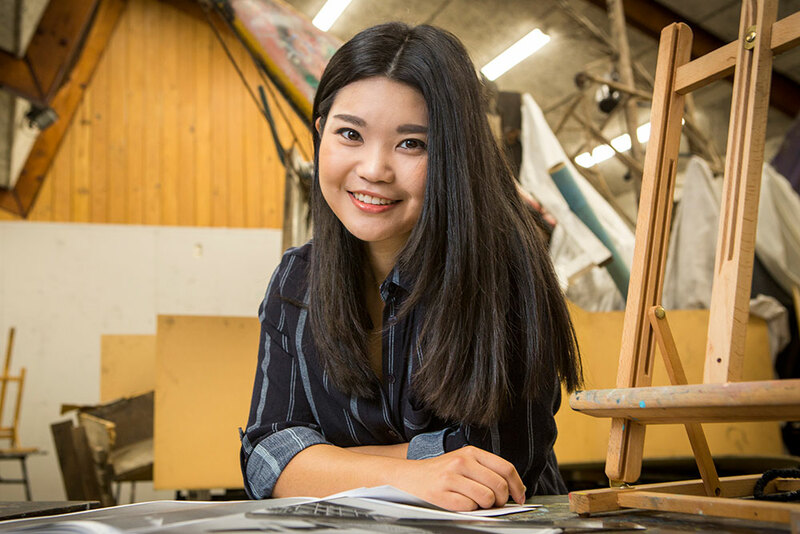 Why study a Bachelor of Fine Arts at UC? First art school in Aotearoa New Zealand and one of the oldest in the English-speaking world. Teaching staff are artists, designers, filmmakers, and curators of international standing. Facilities include an on-campus art gallery, dedicated studios, and workshops. Numerous exhibitions are organised by the School of Fine Arts | Te Kura Kōwaiwai throughout the year, allowing students to showcase their work to multiple audiences. Enjoy a welcoming community of like-minded students, enthusiasts, professionals, staff, and alumni. the equivalent standards in other secondary school qualifications. All applicants also need to submit an application form, a letter of introduction, and a portfolio. You are encouraged to apply as early as possible, and to visit the School of Fine Arts | Te Kura Kōwaiwai before making your application. The School welcomes applications from October. evidence of your competency and ability in artmaking – so please make sure you include your best work. We also need to see aspects of your methodology; examples of preliminary sketches are important here. your best possible work presentation. There are a number of formatting requirements for the supply of your work portfolio – please see the application form for details. your ability to express your thinking in a written statement. This is your chance to demonstrate a critical understanding of how the work operates, the decisions you made, and what you are trying to address through your work. For more information on the application process for the Intermediate Year, go to the School of Fine Arts | Te Kura Kōwaiwai website. (1) FINA 101 is 30 points. FINA 103 is 45 points. (2) Students specialising in Film or Photography may take either Art History and Theory or Cinema Studies 200-level courses. (3) Students must complete a 200-level course to be eligible for entry into Bachelor of Fine Arts with Honours at fourth year. (4) Students must complete 30 points of 300-level ARTH courses (or CINE courses for Film and Photography students) to be eligible for entry into Bachelor of Fine Arts with Honours at fourth year. * Students eligible for Honours will instead take FINA 450 in their fourth year. Each small block represents a 15-point course. However, some courses may be 30 points (or more). For full course requirements see the Regulations for the Bachelor of Fine Arts. Students who began a Bachelor of Fine Arts before 2017 will follow a different structure. courses from the Bachelor of Arts or other degrees (including some compulsory Art History and Theory or Cinema Studies courses) (75 points). Students who started the BFA before 2017 will have a different structure. For more information see the UC Calendar Archive or contact the College of Arts | Te Rāngai Toi Tangata. The Fine Arts Intermediate Year consists of FINA 101 What is Practice?, FINA 102 Communities of Practice, and FINA 103 Studio Practice, as well as 30 points of 100-level Art History and Theory courses. On passing the Intermediate Year, most students are able to gain a place in one of their two studio electives. In the second, third, and fourth years of the BFA, you will specialise in one subject. Your grades in the Intermediate Year will influence your choice of subject. From 2020, students that have completed their third year of the BFA, and completed 30 points of 300-level ARTH courses (or CINE for Film and Photography students) with a B grade or better, and achieved a B grade or better in their 300-level studio subject course, are eligible for the Bachelor of Fine Arts with Honours in their fourth year of study, and will instead take FINA 450. Contact the School of Fine Arts | Te Kura Kōwaiwai for more information. It is possible to study a BFA with another degree, such as a Bachelor of Arts or Bachelor of Science. 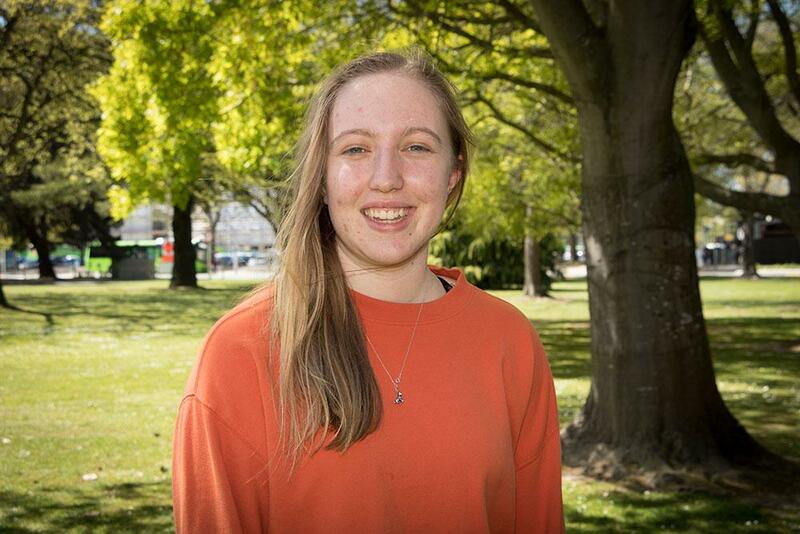 If you are considering a double degree you should get advice from a College of Arts | Te Rāngai Toi Tangata Student Advisor or the Liaison Office. Find out more information about Double degrees. A UC Fine Arts degree is accepted as an entry qualification to postgraduate studies in other tertiary institutions in Aotearoa New Zealand and overseas. UC graduates have been accepted into the best graduate programmes in the United Kingdom, Germany, Switzerland, France, Canada, the United States, and Australia. * From 2020, the Bachelor of Fine Arts with Honours will be offered as a final-year extension programme for high-achieving undergraduate students. If students meet the criteria, they will be able to enrol in an additional research course in their fourth year. This will replace the current postgraduate qualification. Recent UC graduates have gained employment as professional artists, art gallery directors, photojournalists, commercial photographers, film directors, designers, consultants, art conservators, illustrators, fashion designers, curators, art critics, art historians, graphic designers, lecturers, and art teachers. For the full degree requirements see the Regulations for the Bachelor of Fine Arts. For more information on facilities, resources, and staff see the College of Arts | Te Rāngai Toi Tangata.